Christopher Bruns and his sister Laura are opening a homebrew-focused brewery and taproom. Photos by George Demopoulos. To make and sell beer at a new Denver startup, a homebrewer needs two things: a recipe and $400. Brother-sister duo Christopher and Laura Bruns this week opened Factotum Brewing in Sunnyside as a home-away-from home for homebrewers. “We’re a homebrewer-driven brewery,” said Christopher Bruns, who acts as the factotum – meaning jack of all trades – to the facility’s guest brewmasters. Factotum’s 4,000-square-foot facility has a seven-barrel system, which will allow it to brew about 14 kegs every week or two. For a flat fee of $395, a homebrewer can come to Factotum with a recipe, and Bruns will brew it for them. The clients choose their level of participation in the production of their brew. If they want to be involved in the brewing process, Bruns will walk them through it. Or a client can just pay Bruns to make his or her beer from start to finish. Brewers will also receive taproom credit so they don’t have to pay to drink their own beer. Being featured in Factotum’s taproom gives homebrewers a chance to distribute their recipes beyond friends and family. And Factotum plans on entering its clients’ recipes into competitions like the Great American Beer Festival. Bruns said the brewery might also host in-house competitions among brewers. 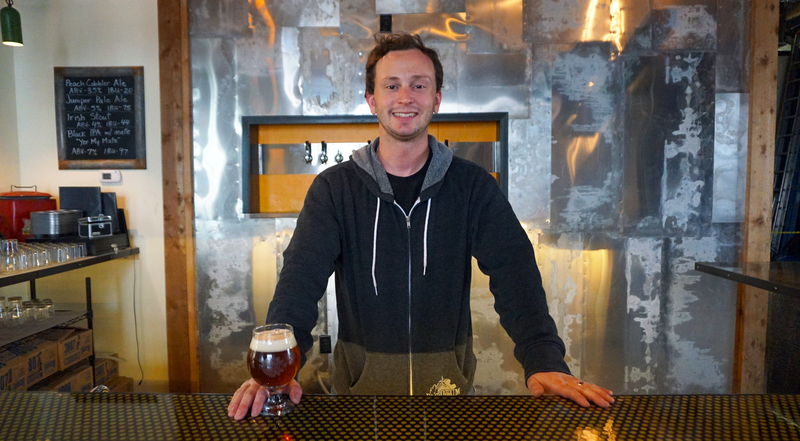 Bruns said he thinks the homebrew model will set Factotum apart in Denver’s booming brewery market. 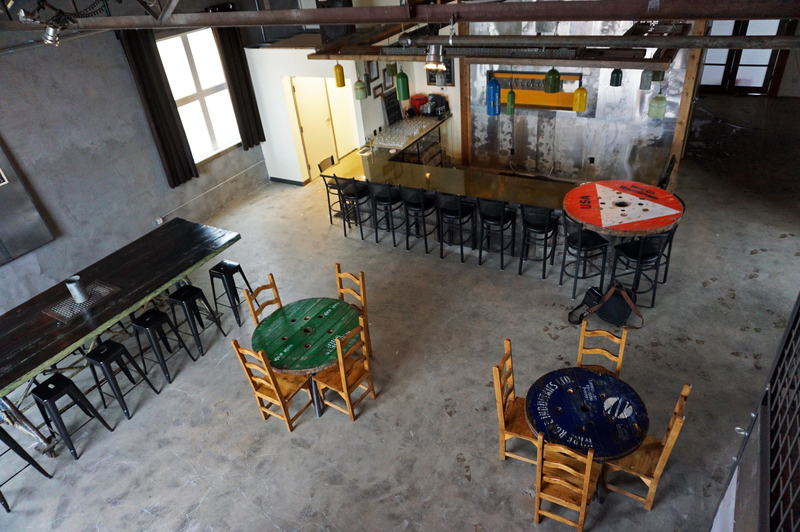 The Factotum taproom will open this week. Bruns said Factotum offers a different twist on the other DIY breweries around town. Check out BusinessDen’s story on Co Brew, a homebrew retail store and learn-to-brew room where customers can make their own batches on Co Brew’s equipment. Laura Bruns said in an email that it cost about $350,000 to get the venture up and running. She said it was financed with help from family and friends, a Kickstarter campaign and Accion and CEF loans. Any recipe that is made in the Factotum facility becomes property of the brewery. But Bruns said he doesn’t think that will deter clients. “If they are just going to be a homebrewer their entire life and never open a brewery, it doesn’t matter,” he said. Homebrewers who want to open a commercial brewery of their own will need to make at least minor changes to a Factotum recipe in order to sell it themselves. Similarly, when a homebrewer enters a recipe into the Great American Beer Festival, the winning beer becomes property of the festival. “It’s not even that we want the recipe to use it for later, it’s just a lot easier from a legal perspective for us to do it that way,” Bruns said. The Sunnyside location is Bruns’ second attempt to start Factotum. He and Laura Bruns attempted to open a location at Lipan Street and 47th Avenue in 2013. They were forced to relocate after a fire inspection called for a second emergency exit. Bruns said the landlord was opposed to the change. Bruns signed the lease on the current Factotum location in March 2014. Since then, he and Laura have been working on getting building permits. When Factotum opens this week, it will feature four beers: Bruns has concocted an Irish stout (he calls it an “easier-to-drink Guinness”) to complement three guest brews: a peach ale, a juniper pale ale and a black IPA. 1 Comment on "New beer spot taps into homebrew talent"
I (Chris Bruns) will never simply brew a recipe for the client, the client is always a part of the process. That’s part of the experience and fun of Factotum. No matter the guest brewer’s experience level, they will be in the back room brewing up their own beer. I’m just there to help. We’re about the hands-on experience.